Golf is an extremely popular sport in the UK, and is now seen as a sport played by all ages regardless of gender. 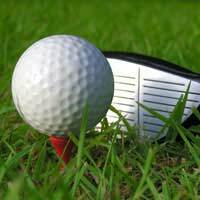 There are numerous ways that funds can be raised by organising a fundraising golf tournament. Organising a golf tournament fundraiser shouldn’t be too much trouble. The biggest layout costs will be hiring the golf course, and in some cases, promotion for the event. Golf is a competitive sport and many amateur and more seasoned golfers will want to show off their skills to others. But as this is a fundraising event those who do take part do not have to be first class golfers. For a fun day out, if the weather stays fine, a golf tournament can be one of the best fundraising events. Finding different ways to raise funds shouldn’t be too hard. Local business sponsors can be one of the best starting points. Contacting local businesses to ask for donations and sponsorship will usually mean that sponsors are named on promotional material. This isn’t too much to ask in return for the publicity and donations that can be raised. In addition it can also mean that the employees of local businesses can take part in the tournament if they wish. The more people taking part the more sponsorship money can be raised. A major method of raising funds during golf tournaments is for the players to find individual sponsors. This could take the form of players being allowed to enter the tournament if they gather a specific amount of sponsorship money. This gives the intended players a financial goal to aim for. Of courses players can and should try to raise money above the set sponsorship entry amount. This method can bring a great deal of money, especially if there are many players involved and tournament heats are used. Golf tournament heats are a way to build up more funds by allowing more players into the tournament.Tournament heats can involve different golf competitions over numerous weeks with the winners of each heat going through to the next. This is a great way to maximise fundraising income and add excitement to the tournament. This is also a good way of getting more local businesses involved to compete with each other. Publicity for charity golf tournaments shouldn’t be too much of a problem. Initially, emails and flyers can be sent to businesses with details of what the fundraisers hope to achieve, where the funds are going and how to become involved. If the fundraiser attracts a large amount of interest from local businesses then local radio and newspapers should be contacted. Contacting the media will generate a large amount of publicity for the event and should attract more businesses and sponsors. Flyers should also be handed out to local shops, restaurants and bars to attract interest from the local community. Most cities, towns and villages will have council run and private golf courses that can be hired for the duration of the tournament. Good fundraising negotiators should be able to arrange some sort of deal with golf course owners. Discounts can often be given for large groups that are intending to use the golf course. Golf course owners may actually decide to waive fees in return for a name check on publicity material. One of the most important parts of any fundraising event is to keep the outgoing fees to a minimum with clever negotiating. If organised correctly a fundraising golf tournament can bring in an excellent amount of charity money. A golf tournament can be used as a one-off event or as a regular event on an annual fundraising calendar. It only takes one successful golf tournament to ensure that interest will be renewed the following year, and for years to come.